The proponent (David Smith) for Port Cunnington Marina planning application has provided the PCRA with a copy of their revised plan (below) to share with our members. Along with the drawing, they also provided the table below, which summarizes the change in the number of parking and dock slips. David Smith believes the revisions represent meaningful changes to address concerns that were raised last summer. David Smith and his planner (Bob List) met with Township of Lake of Bays planner, Melissa Markham, recently to review the deliverables that will be included with their submission amendment. Our understanding is that one of the deliverables will include more detailed engineering design and drawing of the parking area which they need to prepare. He has also requested a meeting with the PCRA board and our planner, Marie Poirier, to get some feedback on the revisions. But we need your input first! To properly represent the interests and concerns of the Port Cunnington community, we need to know YOUR views (good, bad, indifferent) on this revised plan. 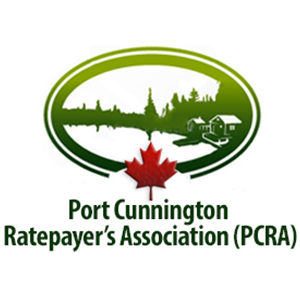 Please email your response/comments regarding the revisions to membership@portcunnington.ca. 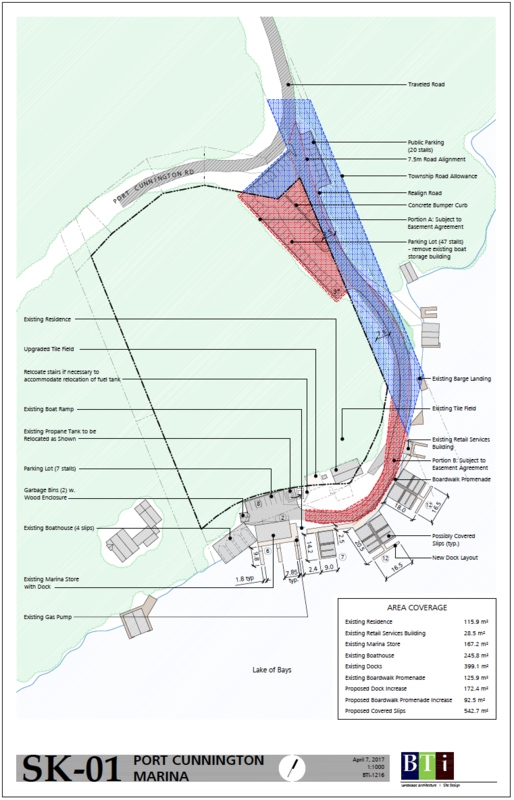 Click here to download the PDF version of the Port Cunnington Marina Plan SK-01.